▶ SoldThis listing was sold on Nov 28, 2018 for the price shown here. This an elegantly styled and freshly painted light filled second floor walkup with a lovely welcoming entry foyer and the best layout that allows for public space and private space with well defined spacious rooms, parquet and hardwood floors that are in wonderful condition. There are original picture frame moldings in the living room and dining room, ample wall space for artwork and windows perfectly placed to allow for natural light to stream in the rooms, South and North views. 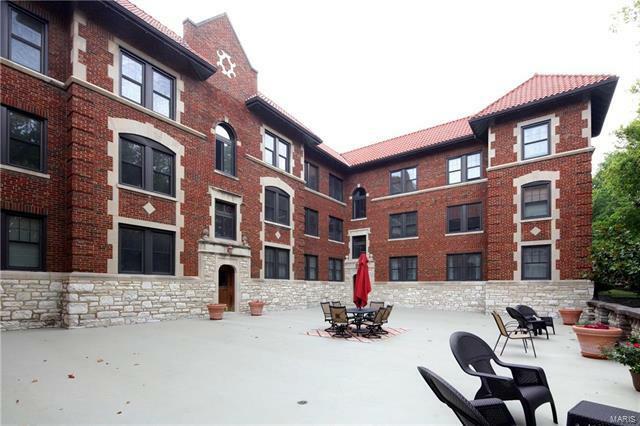 This is a well maintained building in a very popular Clayton neighborhood that is known for its walkability, proximity to schools, parks, restaurants and shopping. Each unit in the building has an assigned parking space in the secure tuckunder garage. There is a storage unit in the basement where the community laundry is located. The kitchen appliances are offered without warranty.